This week, I sat down with Larry Ferlazzo, who publishes a blog at Larry Ferlazzo’s Websites of the Day. Larry has written several books, and he has won many awards. He contributes weekly to Education Week Teachers and the New York Times. We had a great phone conversation where he shared many great tips in the areas of student motivation and relationship building. We all have that student who just doesn’t seem to be motivated to do any work. Larry offers some great advice in this area. He says that he has never motivated a student. What he’s done is to help create the conditions where the student can motivate himself. He also discusses the power of an apology. When teachers are willing to say, “I’m sorry,” it not only maintains the positive relationship, but it also serves to model appropriate behavior that students can take and use in their own personal conflicts. 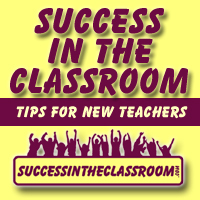 This podcast was filled with valuable advice for not only new teachers, but experienced teachers as well. Larry uses a “marshmallow” study to help with his classroom management. “Don’t eat the marshmallow.” I thought this was a cool way to keep students on task and making positive choices. Below, is a video where you can learn more about the study. It was another inspiring interview. I know you will agree.